The SOLiD Creed is a tradional mesh center with unique twist edge windows. 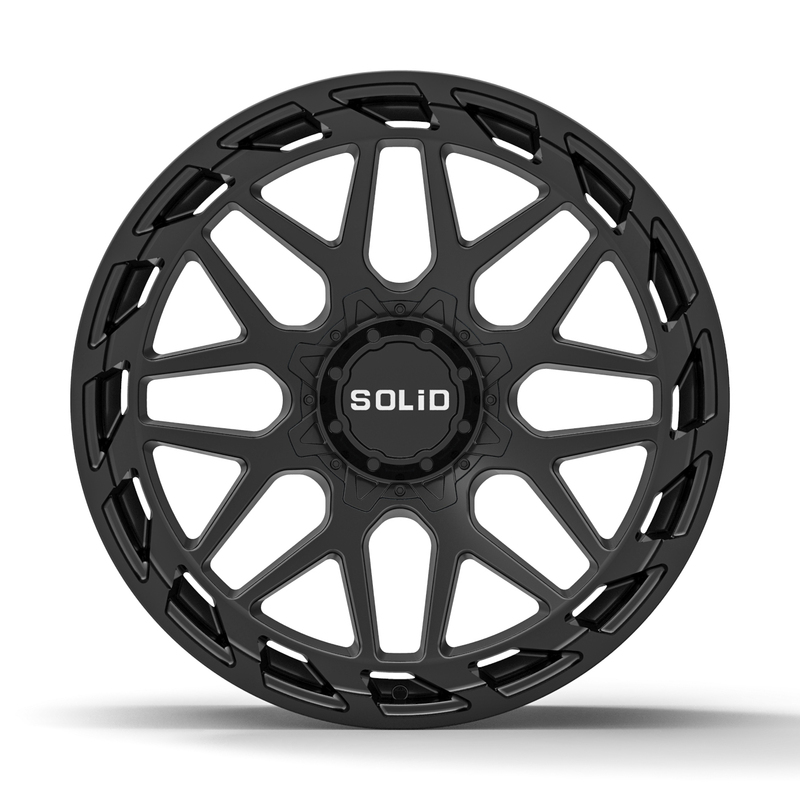 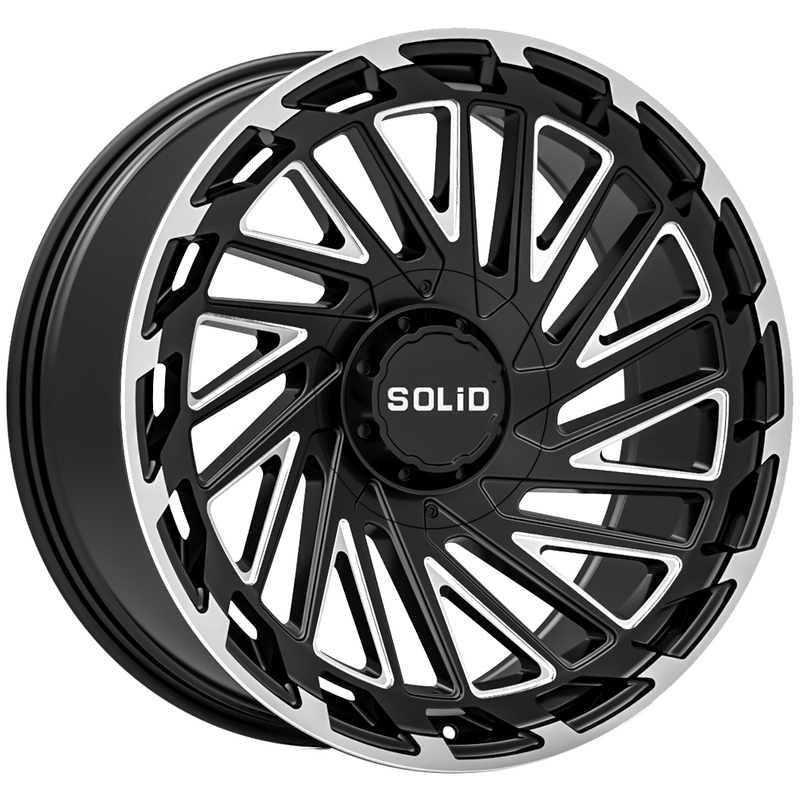 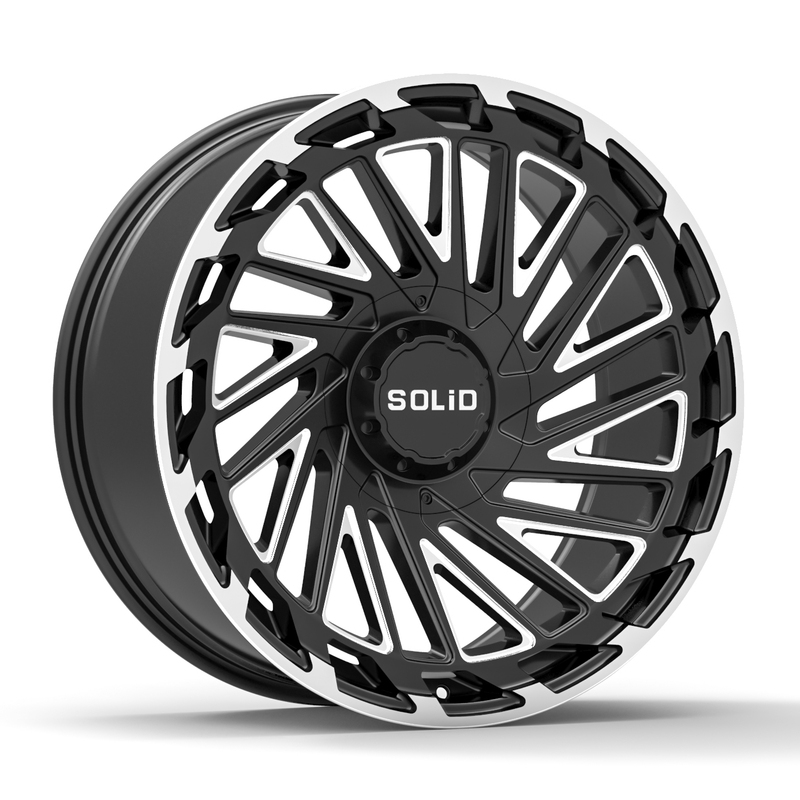 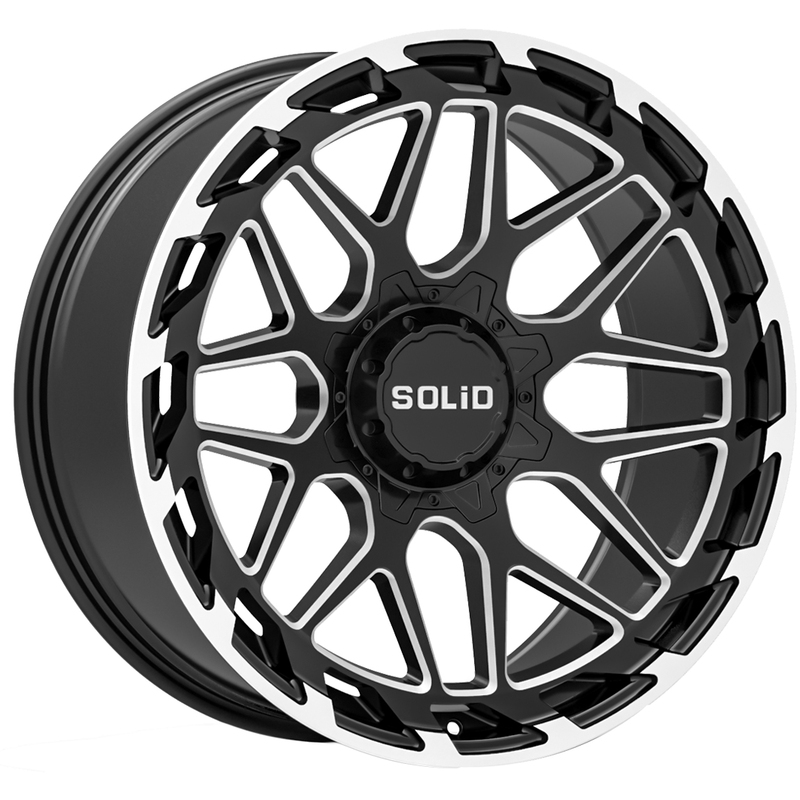 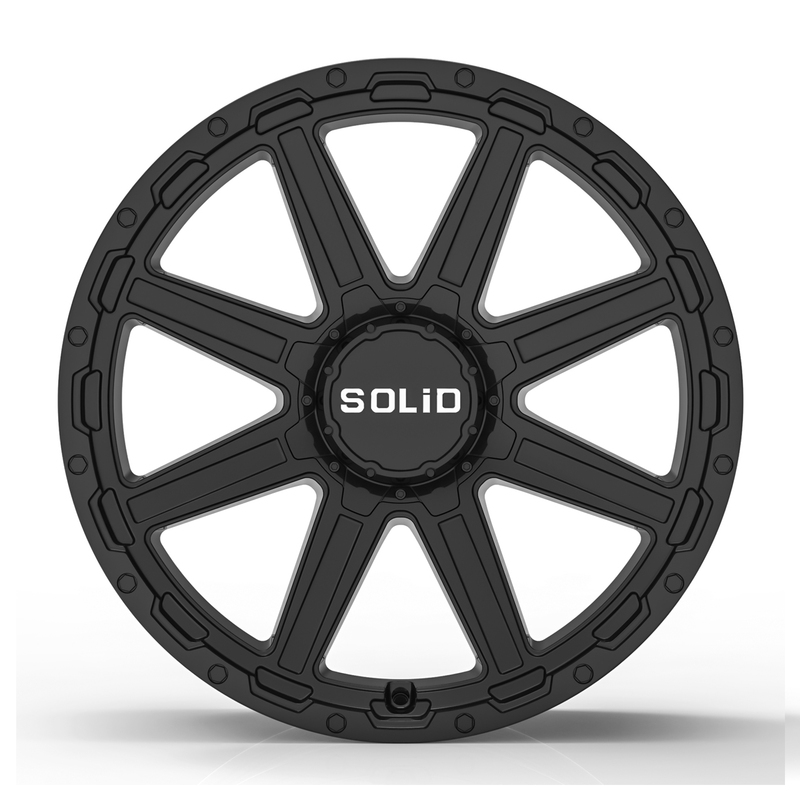 This wheel is available in flow-formed construction with unique spoke details. 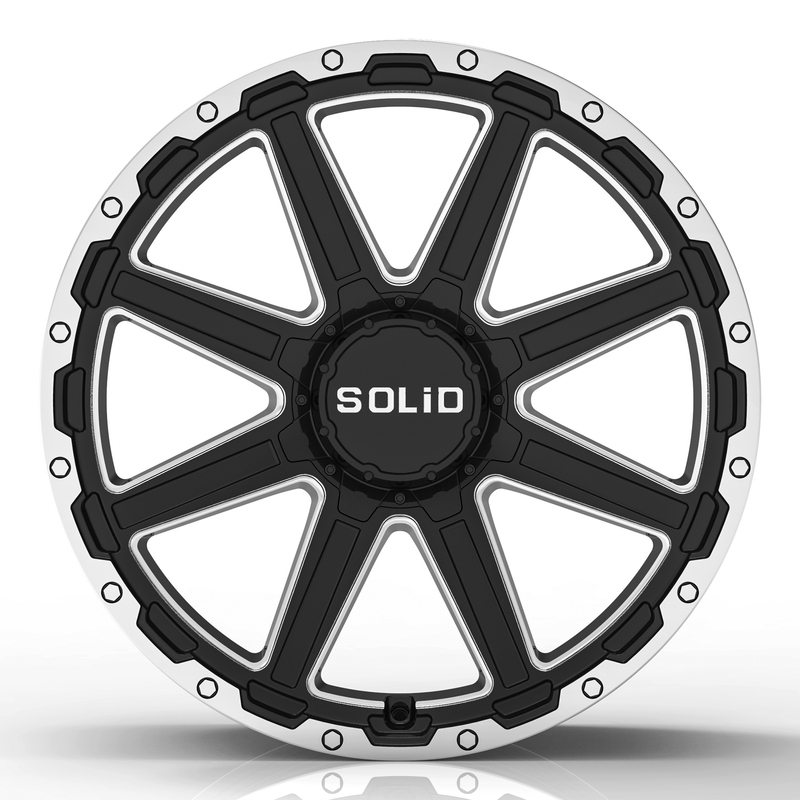 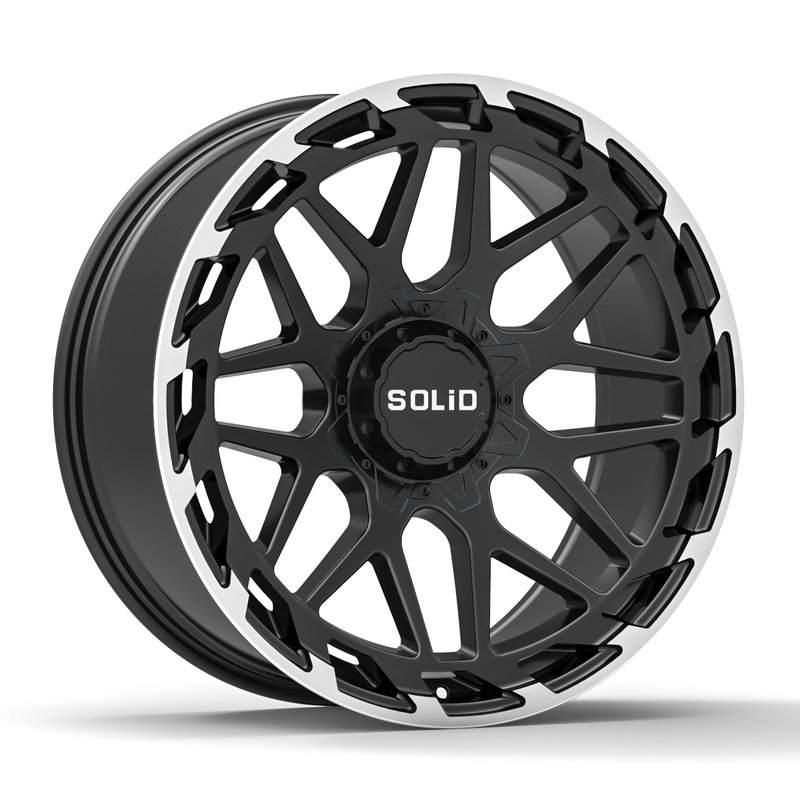 Look for raised, etched and machined edge details, in each wheel finish. 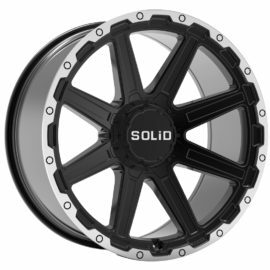 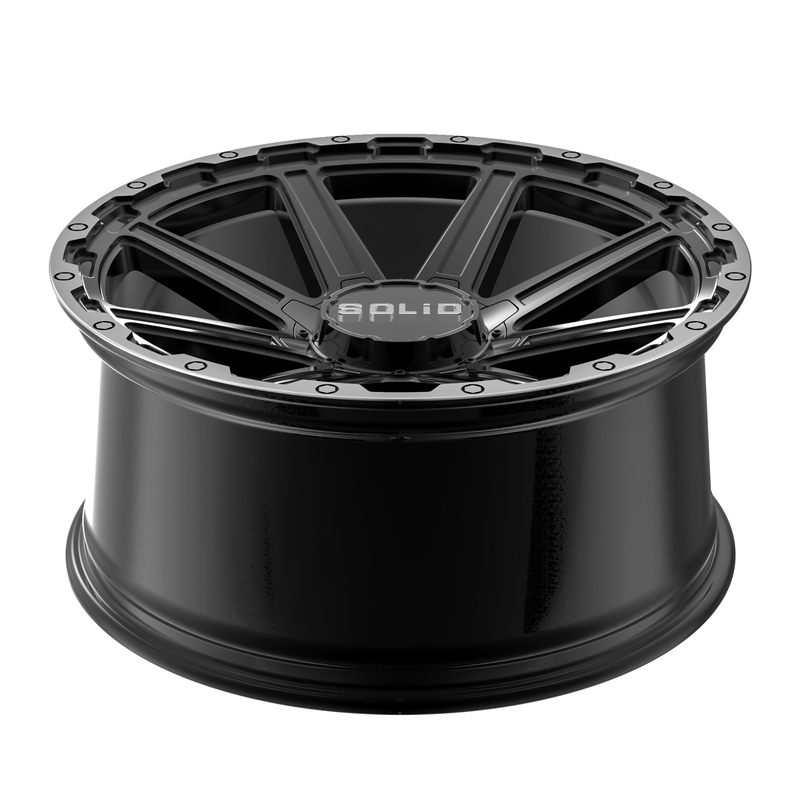 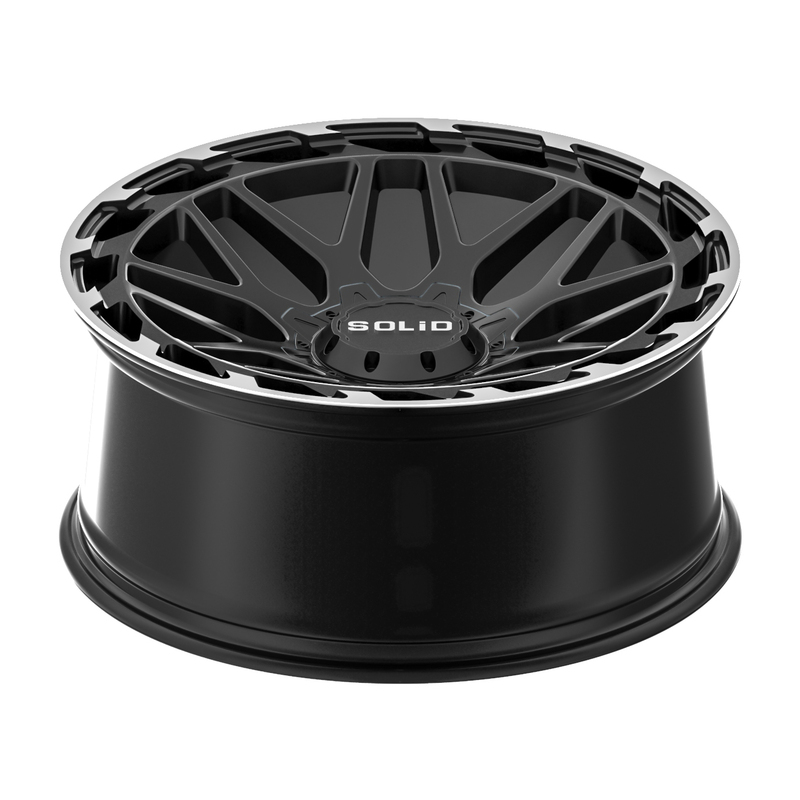 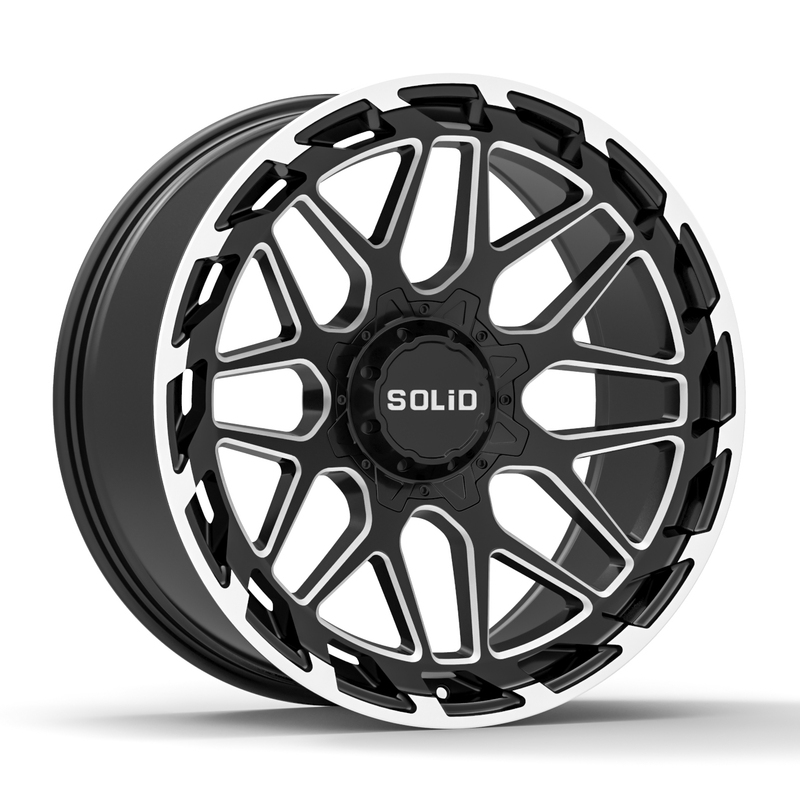 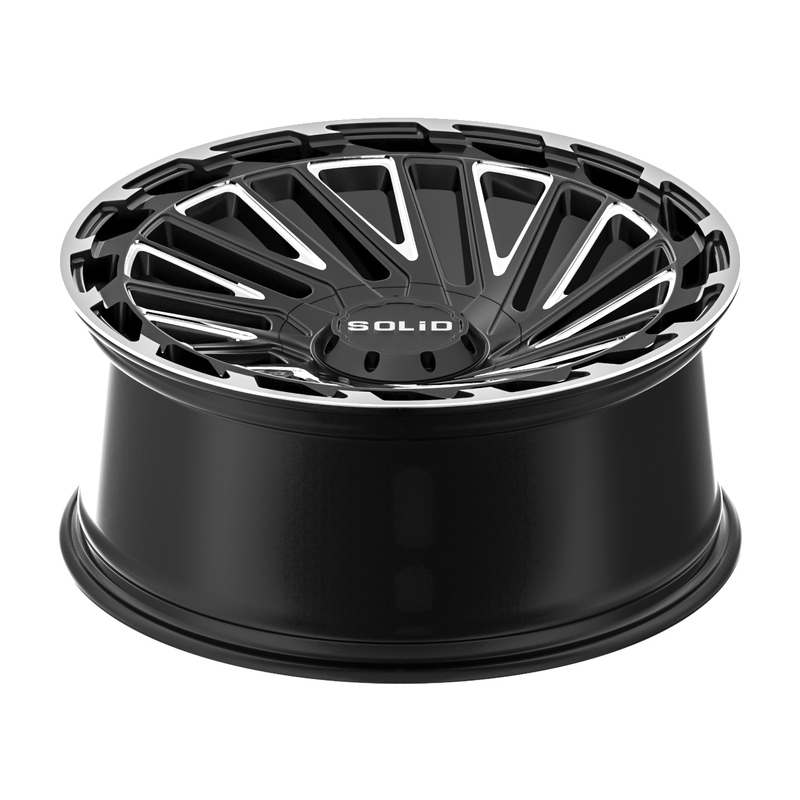 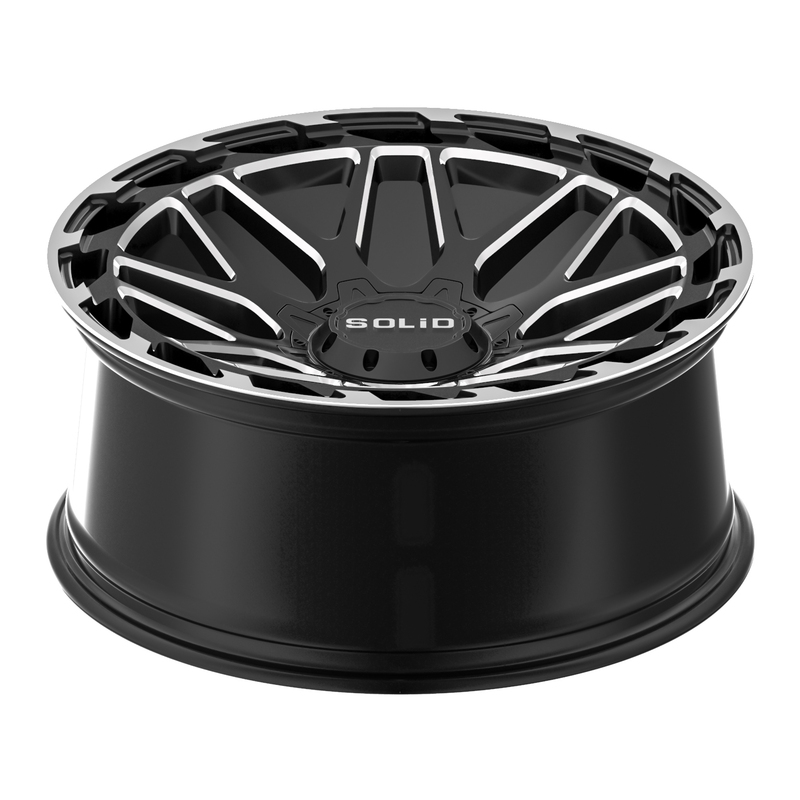 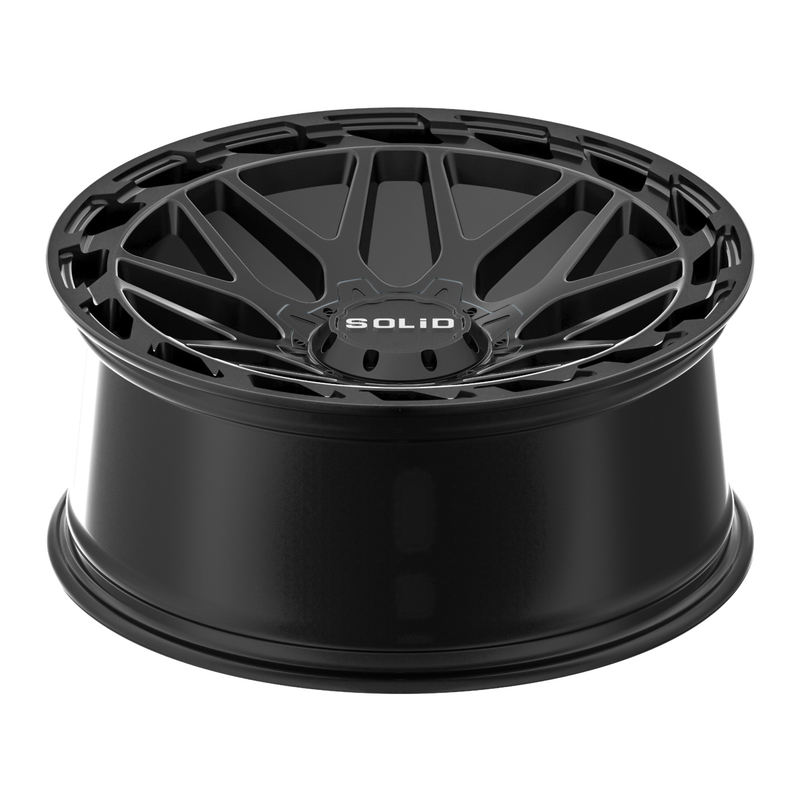 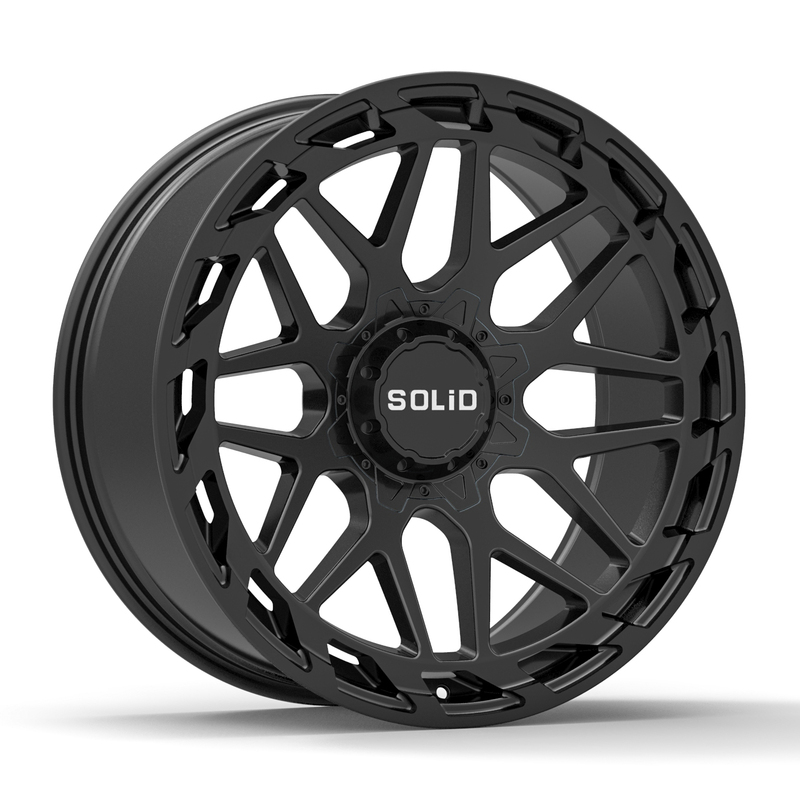 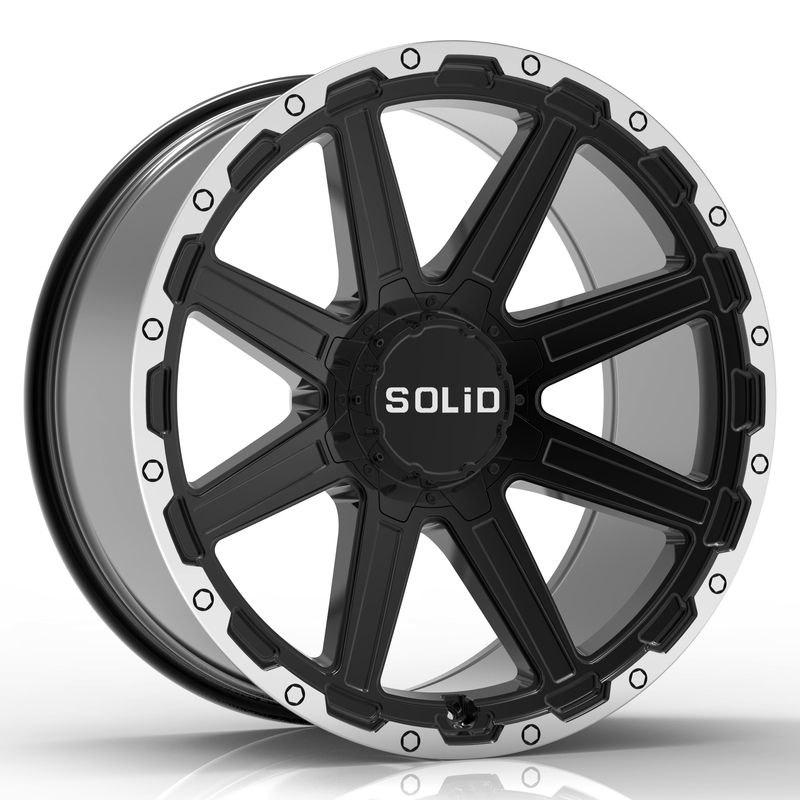 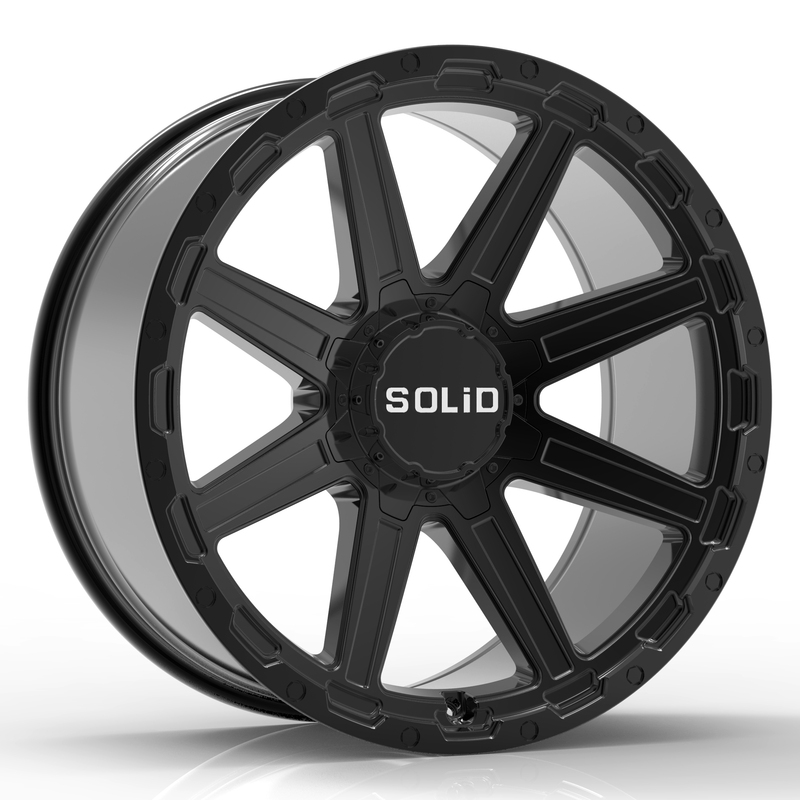 Available in 20″ to 22″ diameters, these wheels will look great on most trucks.